High Times gives a....high five.......to Stock Pot Images! A very supportive article from Mike Di Paola of High Times about Stock Pot and our missions statement. From High Times: Some of the best ideas happen in the shower. That’s where L.A. photography guru Ophelia Chong came up with Stock Pot Images, a catalog of marijuana imagery that goes beyond the typical weed pics and brings in a decidedly human element. As we welcome Alaska and DC, legalization slowly gains ground across the US. This map from Governing shows the states status for legal Marijuana. Jennifer Truong's exploration of a cannabis bud, a mindful and eerie tour reminiscent of underwater explorations. Stock Pot Images will be launching on 4/20 with cannabis-related photography, video and illustrations. Ophelia Chong (shorter boss lady) will be the Featured Speaker at the next Women Grow event hosted by Cheryl Shuman. Come by and meet extraordinary women in the Cannabis Industry, network, and have a glass of wine. Join us with a renewed focus on your professional development. Join pioneering marijuana mom, advocate and entrepreneur Cheryl Shuman in kicking off the Los Angeles chapter of Women Grow. Aron Ranen's 1997 film "The first Medical Marijuana Club in the USA. Pot Club"
Aron Ranen filmed the Cannabis Club in New York back in 1997. Take a tour through a dispensary and meet the people who use it. DC goes Green: "Home grow; home use." Hello Washington! Despite opposition from Congress, the District of Columbia will let residents smoke pot in their homes, but not on the street. So keep it indoors or on your patio, remember your home is your castle and off limits to the law. The law is a bit confusing, so the Mayor's office created this easy to understand infographic. The recreational use of marijuana became legal in Alaska on Tuesday, however some regulations are still being drafted and police in at least one major city will enforce a ban on using weed in public places. Alaska is the third state in the nation to legalize recreational use of marijuana, still a federally prohibited substance. The other two states Colorado and Washington have also allowed the recreational use of the drug. When the day is too long and you are feeling down, know that you can be a Hero to someone. Newsweek Special Editions presents Weed Nation, an in-depth look at the past, present and future of cannabis in our country.As more and more states vote to legalize medical and recreational marijuana. In this special issue there are interviews with politicians, doctors and lawyers as well as accounts from those who live in states that have gone fully legal, Weed Nation presents both sides of the debate and examines where our country might be headed on one of the most controversial issues of this decade. Photographer H. Lee documented the process of cultivation in all its stages in Northern California. Her book Grassland was published in 2014. If you are in Los Angeles this March catch her show at Spot Photo Works, for the first West Coast exhibition of Grassland, opening on March 7, 2015. When cannabis becomes a packaged commodity on the level of Camels or Marlboros, I wonder what the packaging would look like? I am hoping for a vintage look, to bring back the great graphics of yesteryear. Ophelia Chong, Cheryl Shuman and Heather Russell at the first Women Grow event in WeHo. I first met Cheryl at the first Women Grow event for women entrepreneurs at the Rainbow Room, she is a whirlwind, she has the most welcoming spirit and hugs. There were women from as far away as San Luis Obispo, they all came to share stories, to network and to inaugurate the first meeting of women Cannabis entrepreneurs. I look forward to the next meeting (first Thursday of each month) and I am now a member of both Women Grow and the Cannabis Club of Beverly Hills! The 1-2-3- move: Cheryl shakes your hand, introduces herself and then digs into her giant bag and whips out an apothecary jar and places it in your hands. Cornish College of the Arts. Students designed physical packages, and they also came up with brand new product ideas for an actual client, Sensi Sweets. 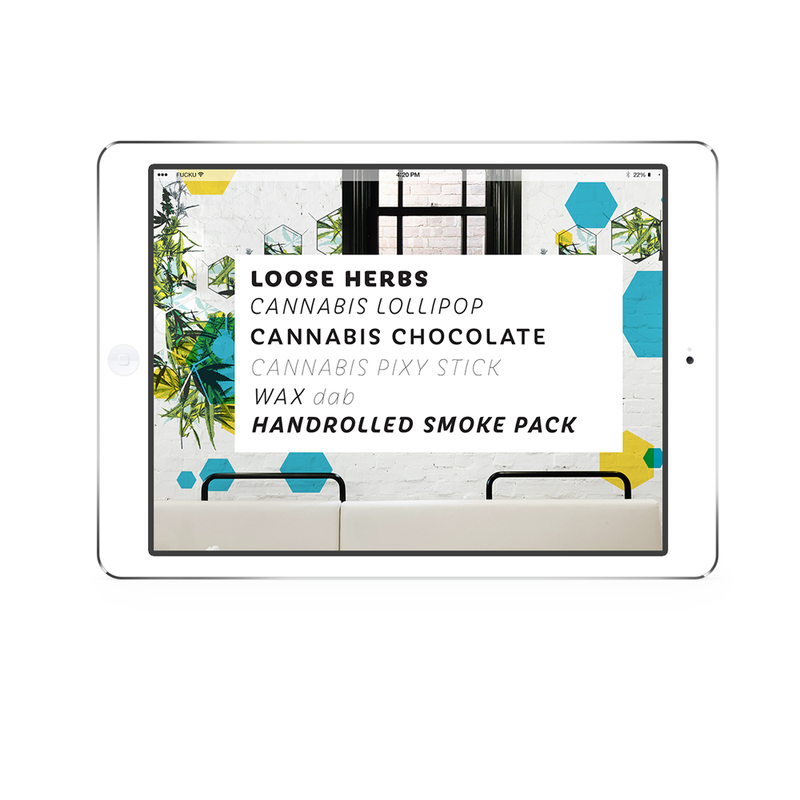 Wanting to prove that cannabis edibles can look great these renditions bring new designs to the "cannabis culture." Soda, lemonade and cookie packaging by Patrick Perkins. The Steffen kids Kate and Devon Steffens thought of their father not as a photographer, but simply as someone who always had a camera in one hand. (And, likely, a joint in the other.) But when Roger Steffens hired Devon to spend a year scanning some 40,000 slides he’d shot over the last 40-plus years. From Viet Nam to Berkley to Morocco, a visual history of the counterculture captured on 35 mm slides. Last November 2014 Health Canada ordered Canada's medical marijuana companies to tone down their advertising, stating that it was "making it look too good". They set strict limits on how they can market their products online and in social media. Is this like advertising an Oreo Cookie by just showing a hand drawn image and hoping that it will sell to the consumer? Images sell the product, if it didn't car companies would spend billions on advertising, on the perfect shot of a car turning a sharp corner or driving down a straightaway. The consumer wants to see the product, they want to compare one strain from another, to compare quality from one producer to another's. Great images sell great products. Women Grow Cultivating Cannabis Enterpreneurs. Stock Pot Images, LLC is a company owned and run by women. We believe in the growth potential of the cannabis industry and we want to help women photographers enter the business. We offer a way for photographers unable to dispense or grow, but want to be part of the new cannabis economy. Check out WomenGrow here and get involved. Connect. Educate. Empower. We will be meeting the Queen of Cannabis this Feb. 5th at the Women Grow event in Los Angeles. Cheryl Shuman starts the day with a power smoothie of cannabis, wheat grass and green vegetables, and from there she puffs on a vaporizer throughout the day. To join her Beverly Hills Cannabis Club for free go here and use the invitation code "Cheryl Shuman"
To read more about Cheryl go here to the New York Times Magazine interview.